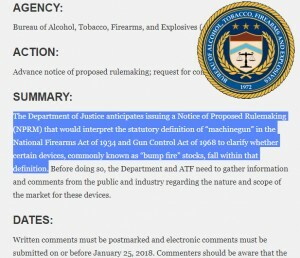 As reported Tuesday and discussed on the GunLink Forums, the Department of Justice this week issued a new regulation reversing the BATFE’s longstanding position on bump stock devices. This regulation modifies the meaning of certain words and changes the codified definition of machine gun such that it now includes language inclusive of bump stocks. This reclassification leads to a situation faced by many hundreds of thousands of owners of such devices whereby they must now either destroy or surrender to the BATFE their lawfully purchased property or become overnight felons in possession of illegal, unregistered machine guns. No doubt worse than the fact that they must now hand over their property – purchased in good faith with assurance from the BATFE that the device was, in fact, not a machine gun – without compensation, is the manner in which the regulation came about. 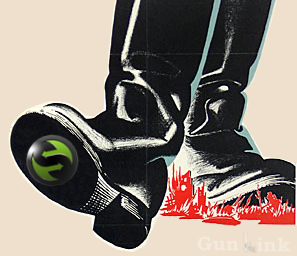 To be certain, the regulation is causing an uproar among factions of the firearms community with talk about violations of everything from Article I of the US Constitution’s prohibition on ex post facto laws to various and sundry elements of the Bill of Rights to include the 2nd, 4th, 5th, 9th, and 10th Amendments. 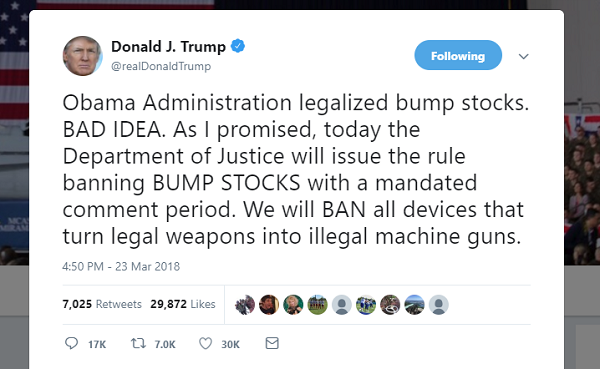 After months of speculation on whether such a measure could be taken under an ostensibly pro-RKBA administration, Acting Attorney General Matthew Whitaker signed a new rule today that classifies “bump stocks” as machine guns and bans their possession. The rule, set to take effect 90 days after it is published in the Federal Register – which is expected to happen this Friday – would require current owners of the devices to destroy them. The BATFE had previously concluded that such devices were unable to be federally regulated as such because they are simply an accessory part. Following the Mandalay Bay attack in October 2017 in which the attacker allegedly used weapons equipped with such devices, President Trump prompted the DOJ to revisit the matter. AG Jeff Sessions introduced the proposed legislation in March 2018. The new rule inaccurately concludes that these devices allow a “shooter of a semiautomatic firearm to initiate a continuous firing cycle with a single pull of the trigger,” making it a machine gun. Generally, under current regulations, possession or transfer of a machine gun manufactured prior to May 19, 1986 – the date on which the Firearms Owners Protection Act (and the Hughes Amendment thereof) went into effect. The Department of Justice is amending the regulations of the Bureau of Alcohol, Tobacco, Firearms, and Explosives (ATF) to clarify that bump-stock-type devices […] are “machineguns” as defined by the National Firearms Act of 1934 and the Gun Control Act of 1968 because such devices allow a shooter of a semiautomatic firearm to initiate a continuous firing cycle with a single pull of the trigger. Specifically, these devices convert an otherwise semiautomatic firearm into a machinegun by functioning as a self-acting or self-regulating mechanism that harnesses the recoil energy of the semiautomatic firearm in a manner that allows the trigger to reset and continue firing without additional physical manipulation of the trigger by the shooter. Hence, a semiautomatic firearm to which a bump-stock-type device is attached is able to produce automatic fire with a single pull of the trigger. With limited exceptions, the Gun Control Act, as amended, makes it unlawful for any person to transfer or possess a machinegun unless it was lawfully possessed prior to the effective date of the statute. 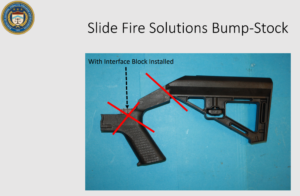 The bumpstock-type devices covered by this final rule were not in existence prior to the effective date of the statute, and therefore will be prohibited when this rule becomes effective. Consequently, under the final rule, current possessors of these devices will be required to destroy the devices or abandon them at an ATF office prior to the effective date of the rule. The BATFE sought public comment on the proposal, receiving upward of 100,000 comments, although passage of such a rule seems to have been a foregone conclusion with direction straight from the White House. Given the Second and Fifth Amendment concerns surrounding the issue and the time frame for it to go into effect, we expect to see a number of legal challenges to the rule. 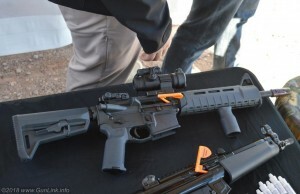 Presumably prompted almost exclusively by (or, at least, jumping at the “convenient” excuse of) their use in the October 1, 2017 attack on Route 91 Harvest Festival concert in Las Vegas, the BATFE is now seeking comments from the public regarding new regulations, potentially including reclassification as machine guns, on firearm accessories known as bump stocks. In the wake of the attack, which has since spawned no shortage of conspiracy theories thanks to the dearth of officially released details, there was a brief initial outcry calling for increased regulation before quickly fading from the news. Some of those calls even came from unexpected sources, such as the National Rifle Association (NRA) and businesses who make their money by renting fully automatic firearms to tourists. Now, the Department of Justice is contemplating a Notice of Proposed Rulemaking (NPRM) that would interpret the statutory definition of “machinegun” in the National Firearms Act of 1934 (NFA) and Gun Control Act of 1968 (GCA) to clarify whether bump stocks, fall within that definition. Before issuing such an NPRM, the Department and ATF are soliciting comments from the public and industry regarding the nature and scope of the market for these devices, giving citizens the opportunity to weigh in on the topic. The request for comments was published in the Federal Register, and can be seen here (excerpts are below). Comments can be left via the regulation’s page on the Regulations.gov website or left directly here. Gun Owners of America have produced a summary of their two main points: that 1) Bump Sstocks do not fall within the definition of “machine gun” under the NFA and 2) ATF has no Constitutional or legal authority to ban or regulate bump stocks. Having already received approval as a non-rifle from the Chief of the Firearms Technology Division, Reformation will be shipping without any onerous NFA paperwork required. For more discussion on the new Franklin offering, and other SHOT Show offerings, join us in the SHOT Show board of the GunLink Forums. 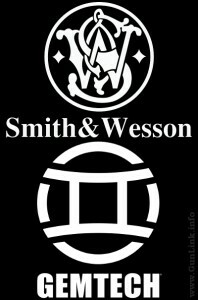 American Outdoor Brands Corporation (NASDAQ Global Select: AOBC), a leading manufacturer of firearms and a provider of quality accessory products for the shooting, hunting, and rugged outdoor enthusiast, today announced that its firearms business, Smith & Wesson Corp., has agreed to acquire substantially all of the assets of Gemini Technologies, Incorporated (“Gemtech”), a provider of high quality suppressors and accessories for the consumer, law enforcement, and military markets.